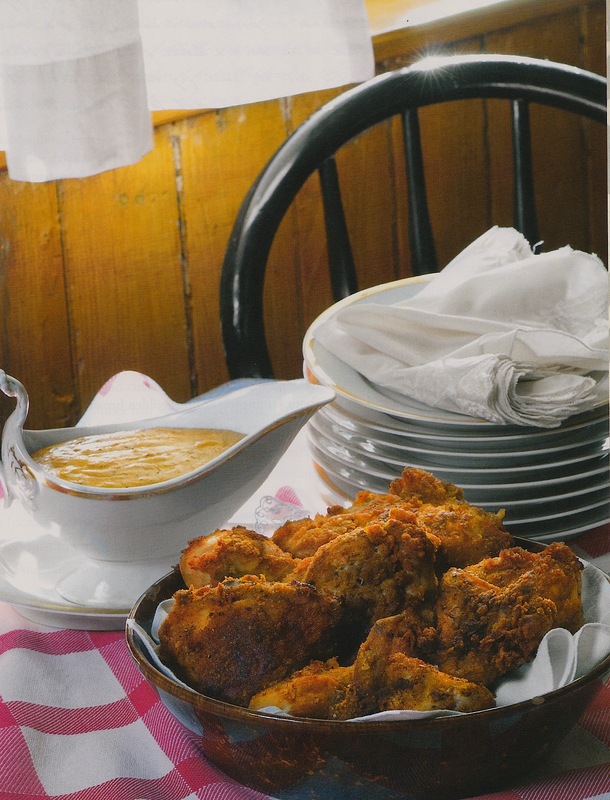 The Gilded Table, Recipes and Table History from the Campbell House is a new cookbook, filled with 178 recipes from the 19th century. 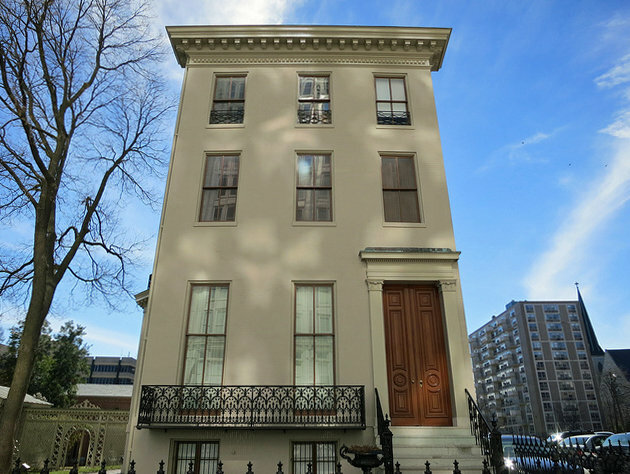 It is also a book filled with history, including the story of prominent St. Louis couple Robert and Virginia Campbell who moved into the house in 1854. Among their dinner guests were Ulysses S. Grant and William Tecumseh Sherman. 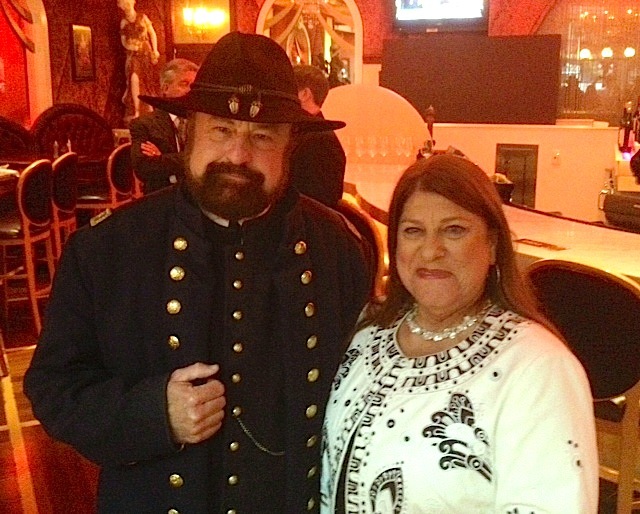 Suzanne Corbett (shown above with “General Grant”) is the author of The Gilded Table. She spent several years organizing and testing Virginia Campbell’s recipes which are reproduced in the book. The Gilded Table features photos by Jim Corbett III of many of the food items as well as Campbell family furnishings and dishware, including china, crystal and sterling. 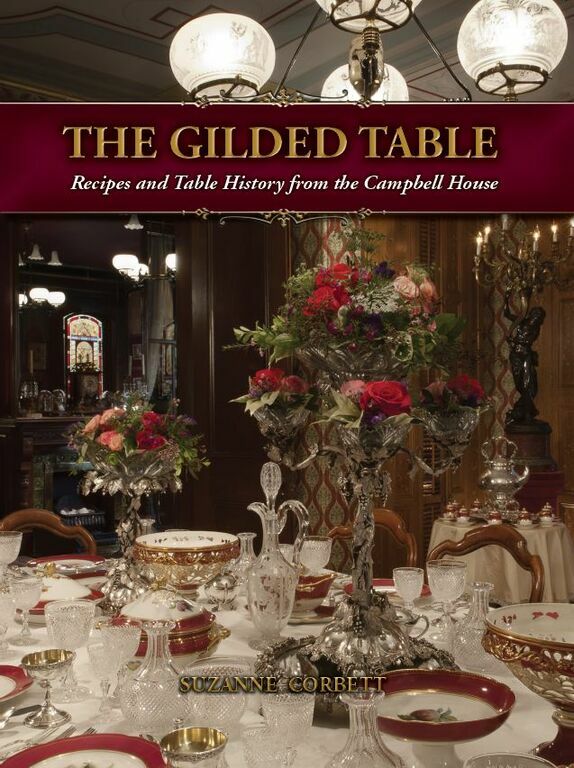 The Gilded Table is available at the Campbell House Museum for 32.95. The Campbell House is located at 1508 Locust in St. Louis. The Campbell House is open to visitors from 10:00 a.m. to 4:00 p.m. Wednesdays through Saturdays and noon to 4:00 p.m. on Sundays. Cost is 8.00/person. For more info, click HERE to go to the Campbell House website. This entry was posted in Uncategorized and tagged Campbell House, Food Talk STL radio show, Jim Corbett III, River City Casino, Suzanne Corbett, The Gilded Table, Ulysses S. Grant, Virginia Campbell, William Tecumseh Sherman. Bookmark the permalink.